Palmer Becker’s “little book,” What Is an Anabaptist Christian? has been translated into many languages and used globally. But as he taught from it in various places around the world, it became apparent that a longer version would be welcome. To that end, Anabaptist Essentials was published by Herald Press last year after testing in his home congregation of Waterloo North Mennonite Church. Mennonite Church Eastern Canada sent a copy home with each congregation after its annual church gathering in April. César García, general secretary of Mennonite World Conference (MWC), said at the launch that plans are to immediately translate this book into French and Spanish, MWC’s other two official languages, and to give a copy to the leaders of each of the 105 member conferences next year. 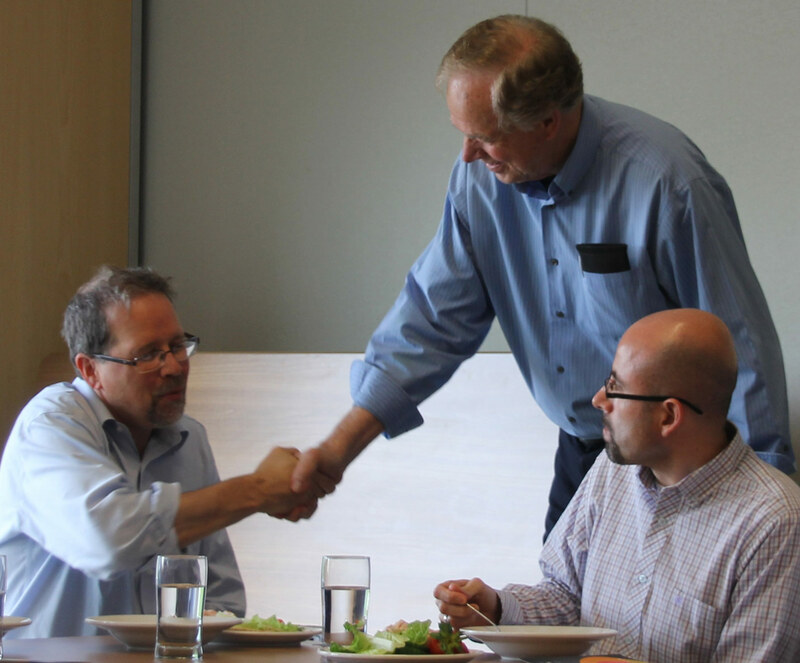 The goal is for Anabaptists all over the world “to appreciate Anabaptist contributions to their faith, and to share them” with others, he said. A gift from a donor means that this is already in process. Then the hope is to get this book into the hands of local church leaders for their personal learning, who can use it to teach their congregations. Each chapter ends with a few reflection and discussion questions. 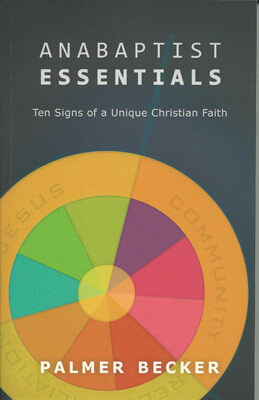 These always include a chart of comparisons between what “many Christians emphasize” and what “Anabaptist Christians emphasize.” In the chapter on “Jesus is Lord,” the comparisons include “Accepting Jesus as Saviour” versus “Accepting Jesus as Lord and Saviour,” noting that Anabaptists emphasize following Jesus in this life, and not only hoping for salvation in the next life. Anabaptist Essentials would be a good book to study with new members and baptismal candidates. The language is set for mid-high school. After Becker’s initial draft, editors criticized the lack of women and non-North American scholars cited in his writing, so a major rework added these important voices to support his ideas. This is a book of strengths and weaknesses. Simple language and brevity make it approachable by many, and yet can rob some concepts of their depth. While the comparison charts and other graphics have been praised by Randell Neudorf of the Commons, an MC Eastern Canada congregation in Hamilton, such comparisons can lead to feelings of superiority and exclusivism in a time that is seeing decreasing denominational loyalty or meaning by many. The addition of a chapter on the place of the Holy Spirit is very welcome. Becker noted that the Anabaptists were the charismatics of the 16th century, and many Anabaptist groups and congregations in the Global South are very charismatic in worship and teaching today.